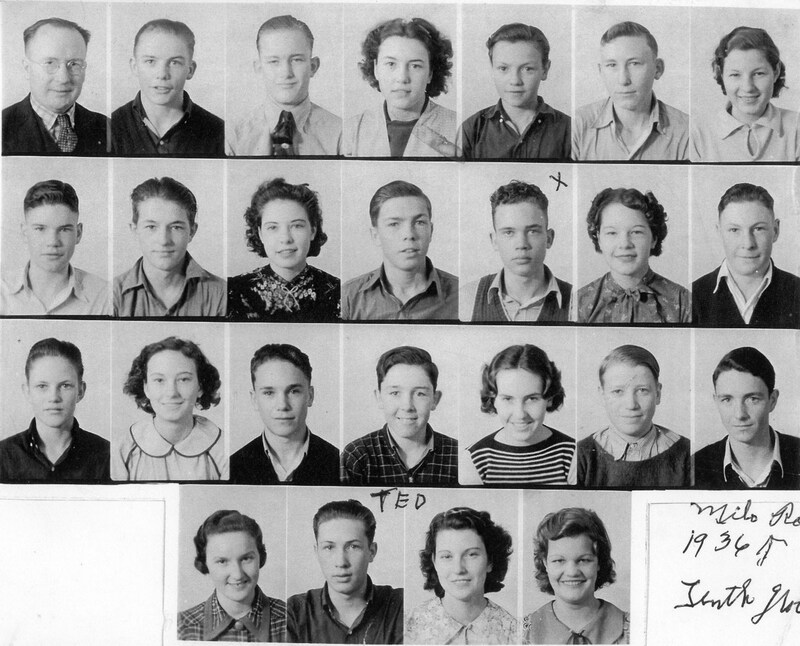 Back (l-r): Wayne Taylor, Frank Poulsen, Miriam Weatherston, Margaret Freestone, Emza Musgrave, Dorothy Richardson, Milo Ross, Earl Hipwell. 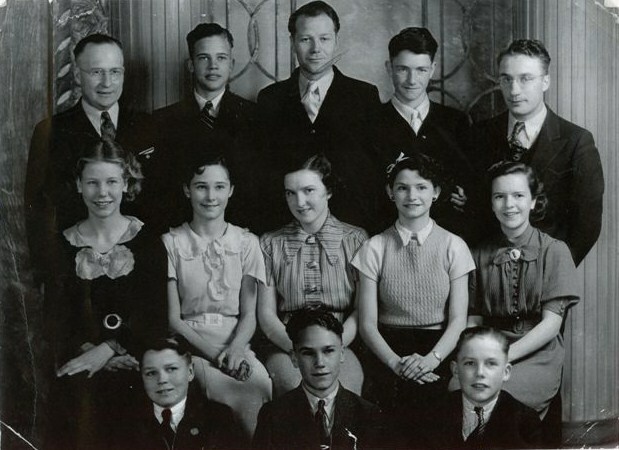 Middle: Ray Charlton, Junior Taylor, LauRene Thompson, Jean Etherington, Cleone Carver, Myrtle Hampton, Eugene Maw, Van Eliot Heninger. 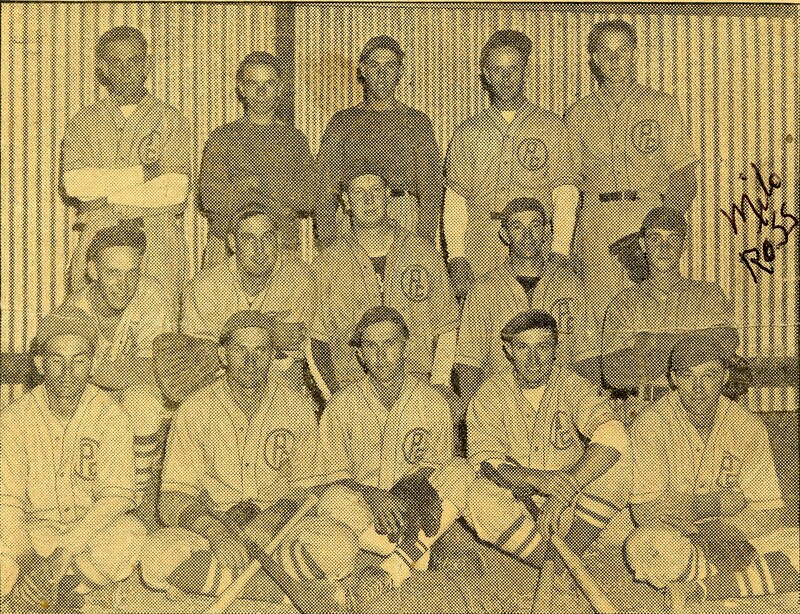 Front: Keith Hodson, Orlo Maw, Howard Hunt, Ellis Lund, Delmar White, Ted Christensen, Lyle Thompson, Ivan Hodson. 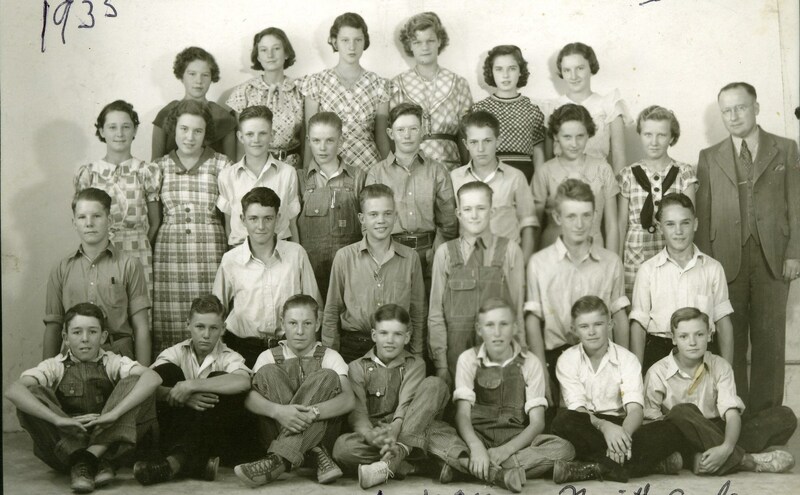 Here is another photo, the second of the four, but from Grandpa’s 8th Grade year. 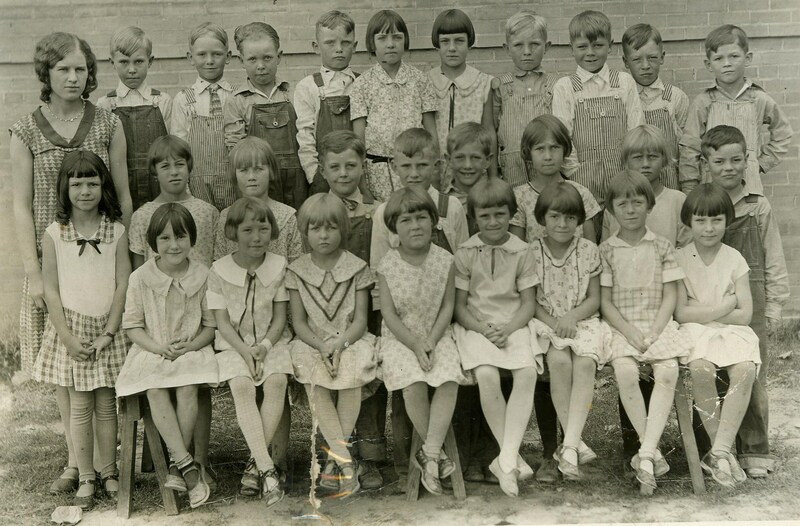 This was taken outside the old Plain City School in Plain City, Weber, Utah. The question marks probably mean they are still alive. Back (l-r): John Reese, Eugene Maw, Van Eliot Heninger, Milo Ross, Eric Rauzi. Middle: Dorothy Richardson, June Wayment, LauRene Thompson, Margaurite Maw, Ruth Carver. Front: Rex McIntire, Keith Hodson, Ray Charlton. 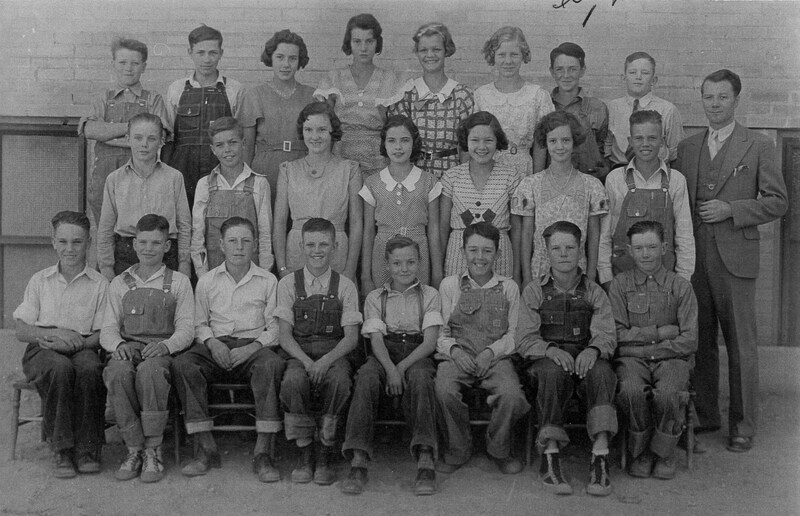 This is a photograph taken of the individuals who put on a play in April 1936 at Plain City Junior High School in Plain City, Weber, Utah. The play was “The Girl Who Forgot”. The Ogden Standard Examiner announced the play 3 April 1936. Here are the people who in the photo with a little more information.